The letter also mentions the Waffen SS marches in Latvia, Austrian neo-Nazi Third-Reich-longing FPÖ party, Hungarian Guard (whose members have proclaimed themselves the heirs of Ferenc Szálasi, who was hung in 1946 for the crimes against humanity). The name of the letter is a apparent allusion to the famous Berlin John F. Kennedy speech in 1963 (“Ich bin ein Berliner”). The letter appeared in Le Monde (France), La Repubblica (Italy), Magyar Narancs (Hungary), The Guardian (Great Britain), Gazeta Wyborcza (Poland), Haaretz (Israel), Kathimerini (Greece), Der Standard (Austria) and Publico (Portugal). It was signed by Benjamen Abtan (EGAM President — European Grassroots Antiracist Movement), Professor Daniel Barbu from Bucharest University, Dario Fo (Literature Nobel Prize winner), British sociologist Anthony Giddens, Bernard Kouchner (former French Minister of Foreign Affairs) and plenty of other famous people. Our fellow compatriot — Svetlana Gannushkina from the Memorial — has also signed it. In fact, Europe has indeed taken a sharp “right turn” lately — nationalists and the outright extremists are being legalized, win the electoral support and get even elected to the European Parliament (let alone the local ones). Almost simultaneously with the letter publication, BBC aired the footage named “Stadiums of hate”, dedicated to European Football Cup 2012 in its information programme Panorama. Black-skinned English football player Sol Campbell recommends English fans to abstain from visiting the Cup matches, unless they are willing to get back home in coffins. The footage is full of batteries of Asian and African-looking fans at the Polish and Ukrainian stadiums, anti-Semitic pranks and the remaining examples of intolerant xenophobia. On the face of it, why should we care of what is going on in Europe and why should Europe care about us? However, good old Soviet traditions of sympathizing the black-skinned victims of the malicious Ku-Klux-Klan are long gone. They were replaced with hatred and racial intolerance. 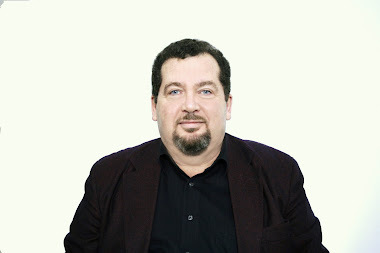 Following the letter of European intellectuals and the BBC programme Evgeny Arapov (head of Orenburg administration and a member а United Russia) touched the issue, demanding the administration of Orenburg State Management University to evict the students of African origin from the dormitory. According to him, they may threaten the safety of children, who stay at the nearby summer camps. We may also reminisce Voronezh, this capital of Russian Midlands, where seven African students have been killed. By the way, after those tragic events of 2004 a public opinion poll was held in the city, revealing a terrifying fact: 40% of Voronezh citizens have called themselves Nazi, or actively supported the nationalist mottos. I believe that everyone still remembers the episode with the murdered students from Asia in Africa, which has clearly indicated that it was too early to rename the criminal capital of Russia into the cultural one. Somehow, today’s nationalists have become a part of the opposition on the sly. Even if we rule out the suspicions of their underhand connection with the government (it is no secret that the memorable Pamyat society was established at the instigation of the KGB), plenty other arguments about the incompatibility of nationalism and the democratic movements remain — how comes it never occurred to our liberals? Yet, Russian Orthodox nationalist Vladimir Tor stands side by side with opposition leaders at the rallies. Isn’t that a surprise for you?